Call Us Today For Amazing Service! With a high urban density, Sydney’s Inner West suburb of Ashfield is a great spot to call home. It may not be the ideal spot for someone who is used to the space of Australian country, but if you’re a city lover, you’re living in the right place. With so many people squashed into such a small area, everyone needs to use the space that they have efficiently. In addition to a lack of space, it is likely that you live a busy life and have a lack of time. If you’ve got items in your home that are wasting your precious space, you probably don’t want to also waste your valuable time removing them. 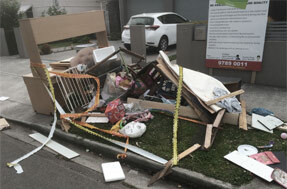 For this reason, we started Same-Day Rubbish Removal over 10 years ago, and we’ve been kept busy ever since! We’ve worked hard to develop the ideal waste removal solution for the modern Sydney lifestyle. Give us a call today if you’ve got junk that you’d like gone fast. It’s amazing the kinds of things that we come across in waste removal. There’s a huge variety of things that people dispose of, we could make a list a mile long, however, there are some items that we do see quite frequently. Common broken and unwanted items include old washing machines and dryers, fridges and freezers, as well as beds and mattresses. If you look around your Ashfield home at all the various large items you have, one day each of them is probably going to need replacing, for many people that is today, and that is what keeps us busy. Despite having seen such a huge variety of unwanted items, there hasn’t been a job that we have been called to that has proven too difficult for our team. No matter the size or type of the job, our experienced team are up for the challenge. The more that we deal with people’s waste, the more we realize the devastating effects pollution of all types is having on the environment. As it is such a concern to our team, we do everything we possibly can to ensure that any junk we collect is disposed of in the most environmentally way possible – ideally recycling. 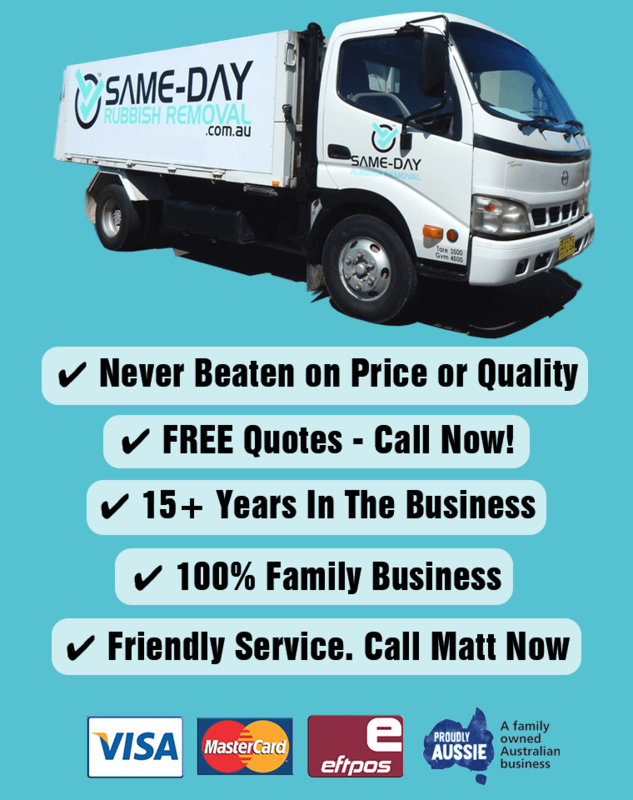 The efficiency we have learnt from our extensive experience is what helps us provide the fastest, easiest and best value junk removal service in Sydney. Whether you’re right in the middle of Sydney in Ashfield or the CBD, down in Campbelltown, or up in Penrith, we’re ready to provide you with our first class service. Our team never leave a job until it is 100% complete, your place will be looking spotless when we leave. If you’re still considering alternate options to our service, you’re only wasting your time. There are hidden costs for both skip bin hire and taking your items to the tip yourself, not to mention the amount of time and effort each of those options take. 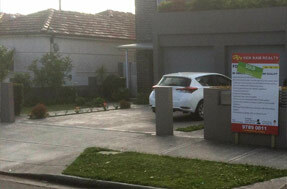 Call us now for a free quote, and you’ll see how our value can’t be beaten. You can reach us on 0402 737 046, we look forward to hearing from you!